Passive power supplies. Now there's a good idea, you might think. No fan. No noise. Great. There is only the slight downside that the few passive PSUs we and Custom PC have seen over the last few years have been poor. They've been characterised by low overall wattage, low efficiency and questionable reliability. 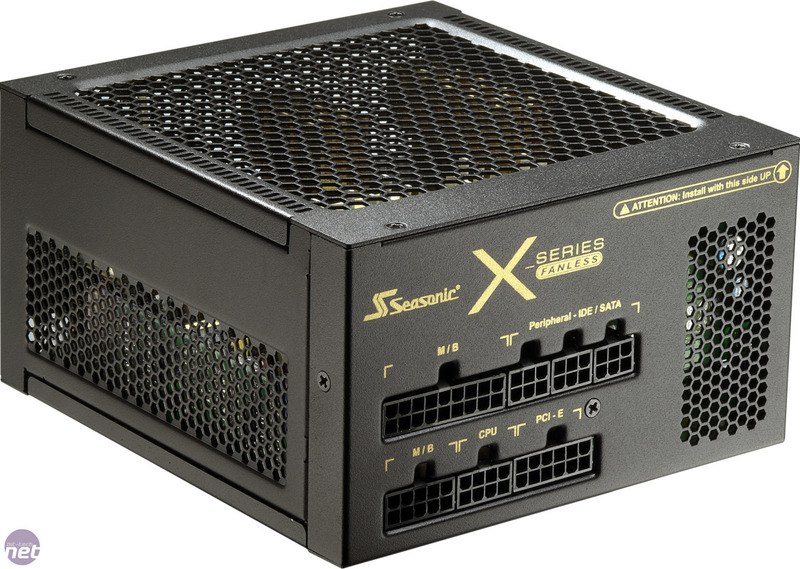 Major PSU brands have stayed away from passive designs too - but this is set to change as Seasonic has a new line of fanless PSUs. Even better, the new passively cooled X-series PSUs don't feature honking great big heatsinks hanging out the back to cool them - instead, the designs feature five relatively small heatsinks instead. 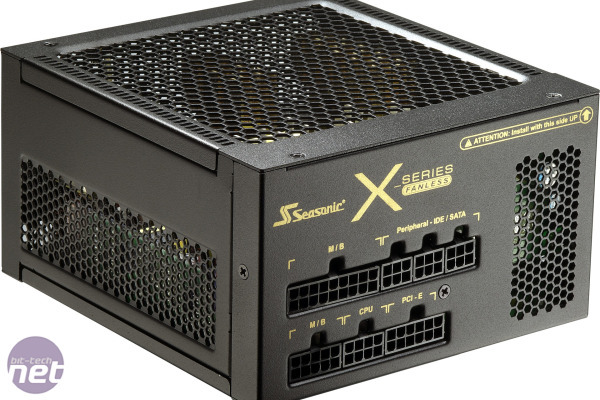 When we originally reviewed the fan-cooled Seasonic X-650, we found it was one of the best power supplies you could then buy, if you could afford it so we were extremely interested to hear about Seasonic's plans for a passively cooled version. As it stands the X-650 and X-750 were already semi-passive in that the fan would only fire up at full load or very high internal temperatures. Seasonic has managed to go completely fanless thanks to two reasons: firstly, the PSU case now looks like a cheese grater, with more holes and vents than any other PSU we've seen, and number two is that the power output has been lowered to 400 and 460W. Likewise the power output on the single 12V rail has been reduced from 54A on the 650W to 33A and 38A on the 400W and 460W respectively. This has helped reduce the heat generated and combined with the additional ventilation and high temperature tolerant components means Seasonic can finally go truly fanless, although currently only for lower wattages. ...[Seasonic] wanted to produce a fanless power supply that can reliably run at full load, not just for safety application reasons but also for our customers, so they get what they pay for: if it says 400w, then it should be able to deliver 400 watts." The actual internal topology appears to remain the same (some component changes aside) - Seasonic has developed a single AC-DC 12V conversion and then used a more efficient DC-DC converter on a separate PCB screwed to the back of the PSU for the fewer 3.3V and 5V rails. Just like its bigger brothers too - it's also completely modular - as in every cable is removable. However, looking at the image above, you can clearly see an 'Install this way up' warning on the back. That's fine for cases with PSU space in the base, but what about ATX cases that have the PCB facing downwards? Even if it is placed facing upwards at the top of the case, without ventilation holes the heat will just accumulate. We'll be sure to check compatibility as part of our upcoming full review. Secret sauce an absolutely giant heatsink. FSP has announced its first enthusiast-grade retail PSUs: the Aurum series.